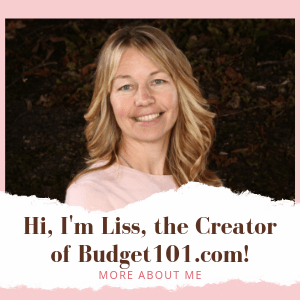 Currently there is a Print Friendly button on every single recipe and article within Budget101.com and they function in Internet Explorer, Mozilla FireFox, Google Chrome, Opera, as well as 32 other common browsers. On ANY Article or Recipe page, beneath the Title of the article is a bar of options which includes Facebook, Twitter, Email, Print and Google+1. To print, simply click on the PRINTER icon, as pictured below. What will happen when I click this icon? A page will open and your print friendly page will generate. It will give you the option of printing to your printer, printing to a pdf file or emailing. It will give you the option of printing images or Removing them completely. I cannot see that button, what do I do? thank you! (i don’t see a button just for thanks so that’s why i am posting the thank you). hi thanks for accepting my membership request, i appreciate it. i find ur recipes really interesting and can’t wait to try some out. the only problem i’m having at the moment is that a few of the recipes are measured in cups, as i live in england we don’t use cups we use ounces tblspoons etc , do u happen to have a conversion table please. Hi im English too and I got told 1 cup is adout 4oz or 200gms I have found out that Asda sell the cups for a couple of quid. thanks for making this easy…..i have computer dyslexia…as i put it. wished you had a magazine…i would suscribe for life. thanks for this site my friend and i am here quite a bit, will apologise for my spelling as i do it asci hear it! just registered. i find the recipes very helpful, also the time saving hints and tips.. I have registered and still finding my way around, I am trying to print survival kit lists and toppers I follow instructions and my printer says its printing but its not. This is the only website I have a problem printing from. I must be missing something? Hello, I am also new here. Got hooked with all of your jar recipes. However, I have been printing them and then suddenly I can’t print anymore…random admin stuff pops up instead of the recipe to print…do I need to do something first? I just registered and am beginning to find my way around. looking forward to all the cool stuff available on this site. Hi, I too am new here and am looking forward to figuring out how to navigate it. everything is so interesting and I can hardly wait to get started. thanks for having me.